A bad day in the R&R world. Last dance with Mary Jane? Prolific musician. What a shame. Great songwriter with a great band. Had to be talked into seeing him at UNO in 1991 for 23 bucks. Outstanding show...I stood there saying, "oh yeah, he wrote that, too." A talented skinny cracker from Gainesville. Still conflicting reports. Sure hope it's not that he "don't come around here no more." Of all the recent celeb passings, this one would mean the most to me. When it came in in 1989, I think I listened to FMF 200 times that summer. They all seem to agree he's off life support with a DNR; it is very, very unlikely that he's going to recover. Very sad; such a talented musician. FMF was the soundtrack of the summer after I graduated high school and is still on my desert-island list. Saw him at Lakefront Arena on the last stop of the Wildflowers tour in Fall 1996, easily the best sounding show I've ever seen (the Heartbreakers had been basically intact for 20ish years so I'd expect that). Saw him again a few years later at an outdoor show with Jackson Browne opening. His stuff will always be quintessential "summer day, cruising with the windows down" music to me. RIP. I saw them very early in his career at The Warehouse in New Orleans in the summer of 1978. They opened for the Kinks. I remember that for an opening act, they were a very tight band with some pretty interesting songs. I think Breakdown was their only single at the time. Well, probably American Girl, too. Very sad news. Petty was one of the last great American rockers. Saw him at the JazzFest a few years back. Great show. In my top 10 all-time concert experiences. Well if "Sweet Caroline" can be a stadium anthem then why not this Tom Petty classic? If there were ever appropriate lyrics to fire up a home crowd and team, this seems it. Let's see if it has legs beyond an ad hoc memorial at UF. I saw viral posts on Facebook this weekend that apparently the LSU band started playing during the tribute to Petty and the Gator fans very pretty upset about it. I saw this too. Just the exact amount of class you'ld expect from LoSer-U. They issued a non-apology apology. Did UF tell LSU's band they were doing this? They should have. If they did and LSU's band just went on ahead they deserve every bad thing said about them. And not to take LSU's side too much but one fan had a legit question: did Tom Petty give a rat's @ss about Gator Football? Did UF tell LSU's band they were doing this? They should have. If they did and LSU's band just went on ahead they deserve every bad thing said about them. I agree, my first thought was this was a communication fail on one school's part, and we likely won't know which one. UF should notify LSU when they can play, or when they can't. If UF didn't tell them, then it's on UF (assuming that particular break was one where LSU would normally be okay to play). But the fact that LSU hasn't stepped forward and stated that they were not told about the tribute (at least that I've seen) implies that LSU was in the wrong. And not to take LSU's side too much but one fan had a legit question: did Tom Petty give a rat's @ss about Gator Football? I'm pretty sure I saw somewhere that he was a big fan. I know he's played their homecoming, I believe more than once. Granted, enough money gets anyone to play your homecoming... but I feel like I read that he was a Gator supporter his whole life (he grew up in Gainesville, in case someone missed that). But does that really matter? If Tulane had said they wanted to do a tribute to Tom Petty during a break this past Saturday and Tulsa's band had just gone ahead and played over it, would it not still be rude and inappropriate? To me, the fact that Petty was a native son of the city does add a bit more "reason to be respectful", but you'd think any band would shut up and respect a tribute to a dead musician if the opponent were to do one, right? In line with Pete's analysis, I propose for the USF game next week that Tulane honor Gregg Allman. Like Petty at UF, the Allman Bros played at Tulane's Homecoming Dance in 1970 in the UC. 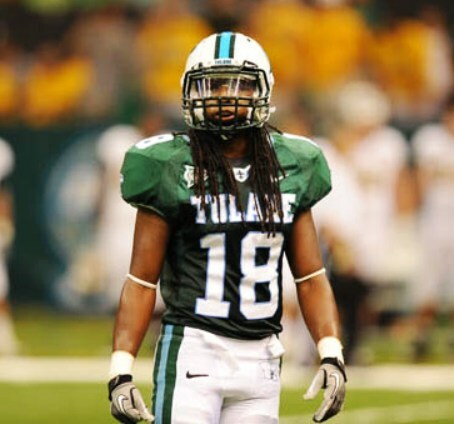 Gregg certainly is a native son of the South and I bet he was a secret fan of Tulane. Moreover I guarantee that when the Memorial minute honoring Gregg culminates with a stadium full of Tulane fans belting out "Tied to the Whipping Post. Good Lord I feel like I'm dying." even the NIMBY's on Audubon Blvd won't have a dry eye. If there were ever a Tulane fan anthem that has to be it! Play the Filmore East version, please! Petty's keyboard player, Benmont Tench, was a student at Tulane before he joined up with Petty's first band Mudcrutch. He played in bands in New Orleans.